I failed to get a good photo, but I had an awesome time at tonight's Yelp Helps event. It was great going around to all the non-profits and asking about what they do and what kinds of volunteer opportunities they have. I wasn't expecting to find so many that I actually want to help out. Also, I'm really enjoying hanging out with all these crazy Yelpers. I'm one of them after all. Unfortunately, I spent so much time talking to each booth, I didn't have enough time to make it into the actual Atomic Testing Museum. Incidentally, this is October 14 - take two. My original photo was a lazy effort and downright sucked. This one isn't much better, but I kicked it up a few notches in Photoshop and I think it looks pretty darn kewl now. It kind of looks like street art. 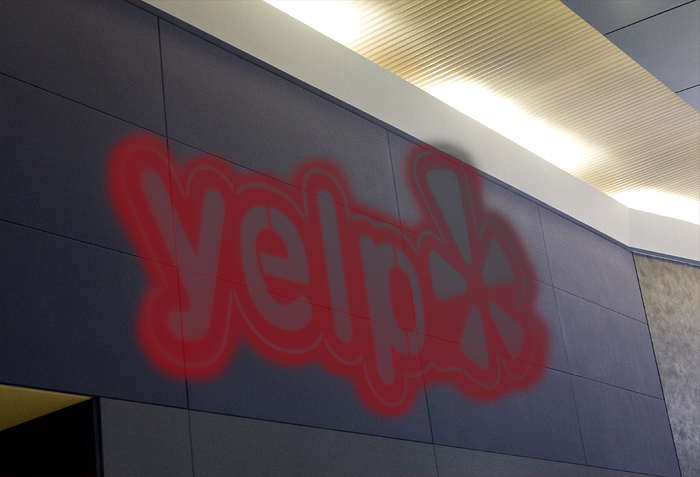 You should get active in Yelp again!